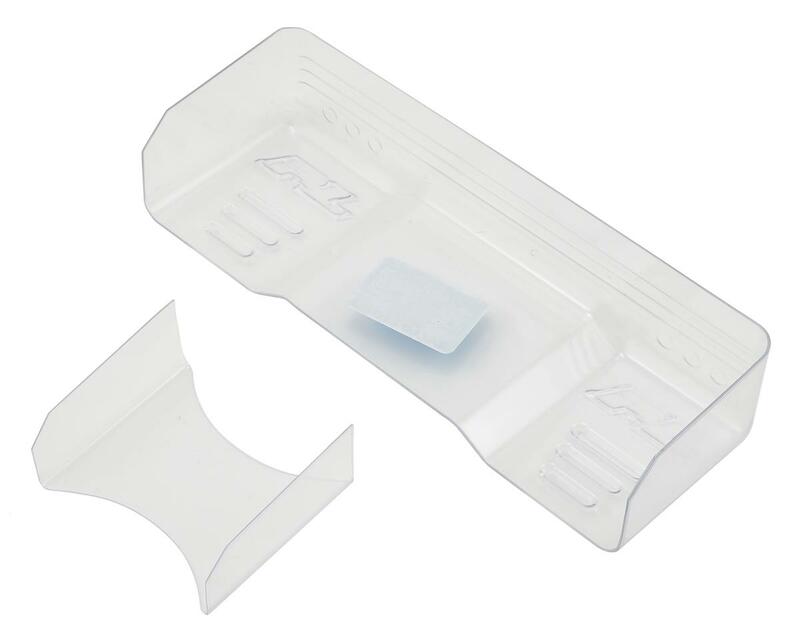 This is the Pro-Line Trifecta Lite Pre-Cut Clear Lexan 1/8 Off Road Wing. 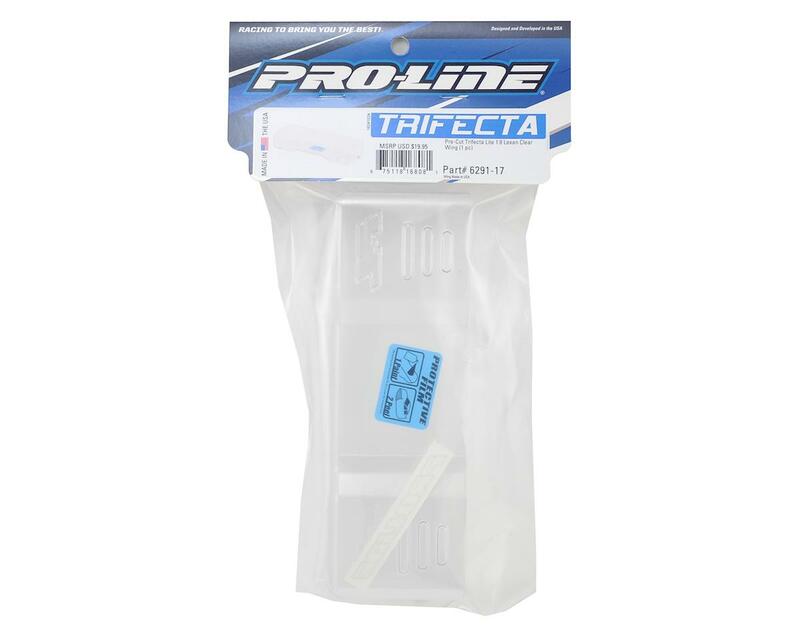 Pro-Line started the Lexan 1:8 Wing craze with the introduction of the Original Trifecta Lexan Wing with the help of Team Driver Ty Tessmann and is now proud to now introduce the 2nd Generation Wing that is better in every way: the Trifecta Lite! Both Lighter and Stronger best describes the Trifecta Lite with an innovative bent wicker that eliminates the need for heavy add on pieces and hardware. The 3 cut lines on the back of the wing are actually Bend lines that have been designed to allow for easy bending of the Lexan to create a Solid 1-piece Wicker in the position of your choosing. This makes the back of the wing super strong while still allowing for wing flex in the event of a crash, which prevents the Lexan from shattering. Just like the original Trifecta wing, the Lite features 3 dimples that hang down on each side of the wing creating the “golf ball aerodynamic effect” that reduces drag at high speeds without affecting down force. The wing also includes the Center Fin that adds more side stability to your car and increases the strength of the wing around the mounting holes. The Trifecta Lite comes Pre-Cut, so you just have to set your wicker height, bend the wicker over and mount it to your car.